The widespread use of control and device level communications for standard (non-safety) industrial applications led to a desire for similar communications for safety. We now have safety versions of the most popular industrial control level protocols, these make it possible to have safety and standard communications on the same physical media (with the appropriate safety hardware implemented for connectivity and control). In a similar manner, device level safety protocols are emerging to allow standard and safety communications over the same media. Safety Over IO-Link and AS-i Safety At Work are two examples. 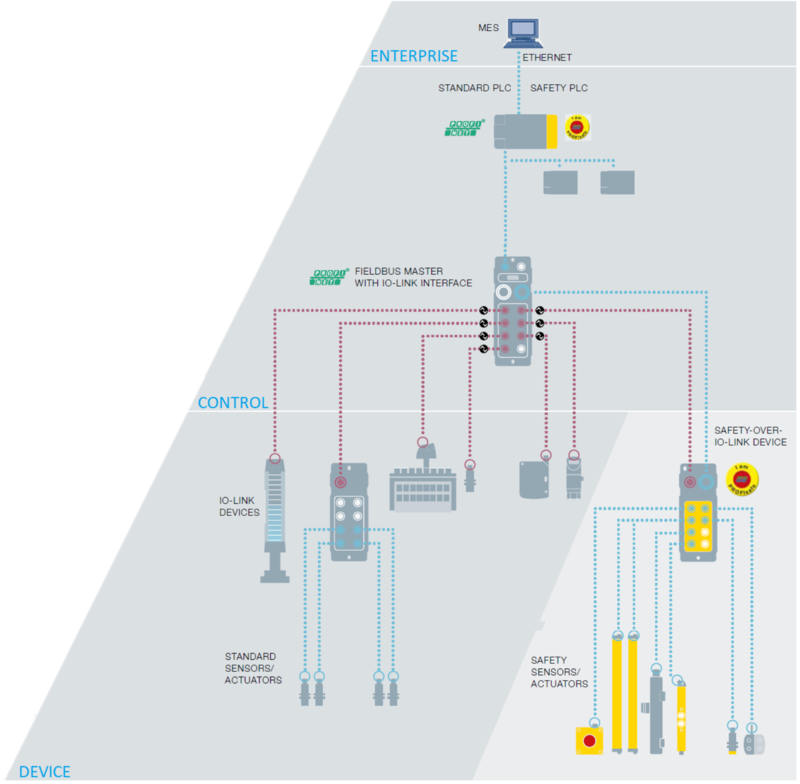 Ethernet-based safety protocols are capable of high speed and high data transmission, they are ideal for exchanging data between higher level devices such as safety PLCs, drives, CNCs, HMIs, motion controllers, remote safety I/O and advanced safety devices. Device level protocol connections are physically smaller, much less expensive and do not use up IP addresses, but they also carry less data and cover shorter distances than Ethernet based protocols. They are ideal for connecting small, low cost devices such as E-stops, safety switches and simple safety light curtains. As with standard protocols, neither a control level safety protocol, nor a device level safety protocol can meet all needs, therefore cost/performance considerations drive a “multi-level” communications approach for safety. This means a combined solution may be the best fit for many safety and standard communications applications. A multi-level approach has many advantages for customers seeking a cost-effective, comprehensive safety and standard control and device solution which can also support their IIoT needs. Users can optimize their safety communications solutions, balancing cost, data and speed requirements. Tom Knauer has more than 25 years of experience in the industrial automation industry, with equipment/solution suppliers including GE Fanuc, Parker Hannifin, Omron STI and Balluff. His roles have included product management, sales, marketing, finance and business strategy; his product experience covers PLCs, CNCs, motion control and safety. Tom's current focus is on developing and growing the Balluff manufacturing & plant engineering and safety businesses in the Americas, working closely with customers, sales, product management and product development. 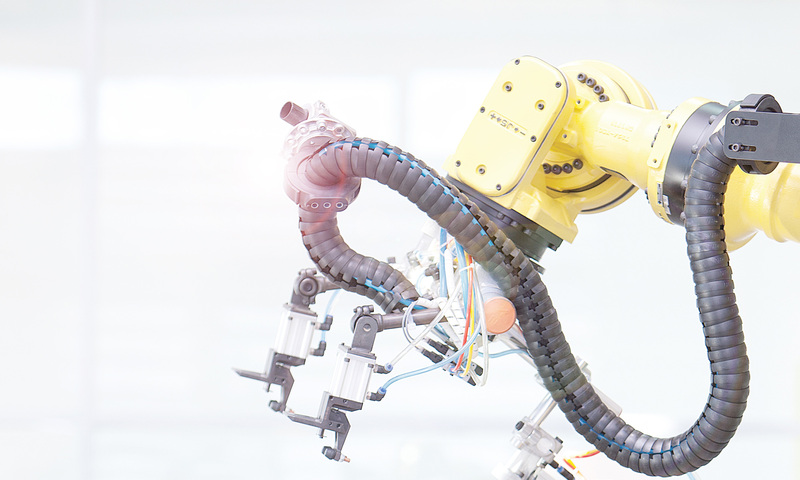 His recent activities include work on current and future safety sensing to support collaborative robots and mobile robots, and device level safety networks combining standard and safety sensors.